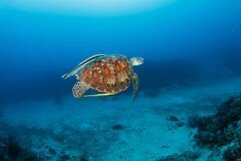 Here you can see a Green Turtle (Chelonia Mydas). She was sitting in the reef and didn't mind that I took pictures of her. 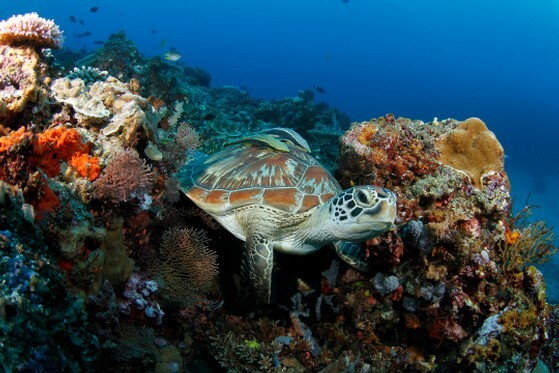 Gili is a paradise for turtle fans. 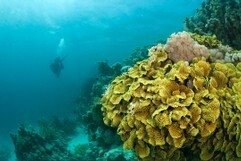 On some dives we have seen more then 10 of these beautiful reptiles. Sadly all turtles are endangered.